As you may have gathered by now I am developing a bit of a penchant for all things ‘lavera’. What impresses me most is the breadth of their range; unlike a lot of eco-brands there aren’t just the usual body lotion, potions and balms, but everything from the whole array of make-up to sun tan lotions and shampoos for all hair types. 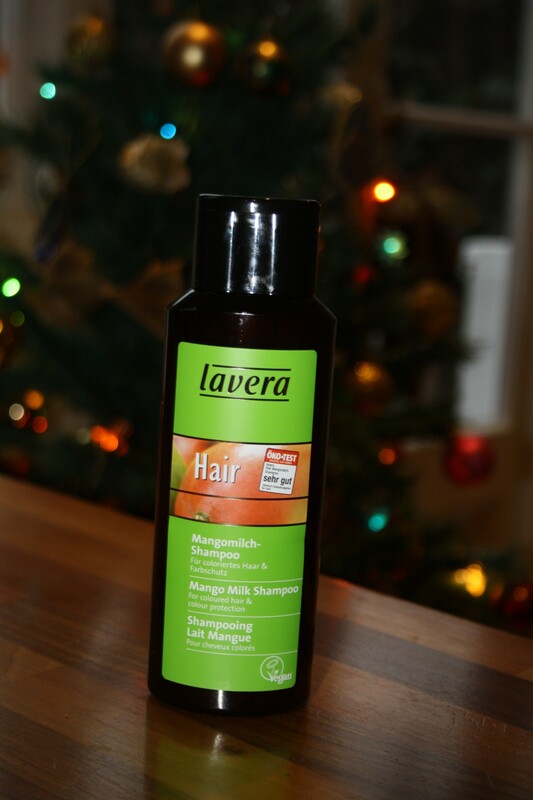 Lavera’s ‘Mango Milk Shampoo’ is designed for coloured hair and colour protection and smells absolutely divine. It lathers incredibly well (unlike a lot of eco-brands) and has left my hair looking incredibly shiny and manageable. What’s more it’s received a ‘sehr gut’ (very good) in the rigorous German ‘Oko Test’, and contains no nasties, such as sodium lauryl sulphate, a foaming agent contained in a lot of beauty products, which has been linked to all manner of skin conditions, and is best avoided. In terms of pricing, I find lavera to be fantastically affordable (check out http://www.naturisimo.com for some good deals).